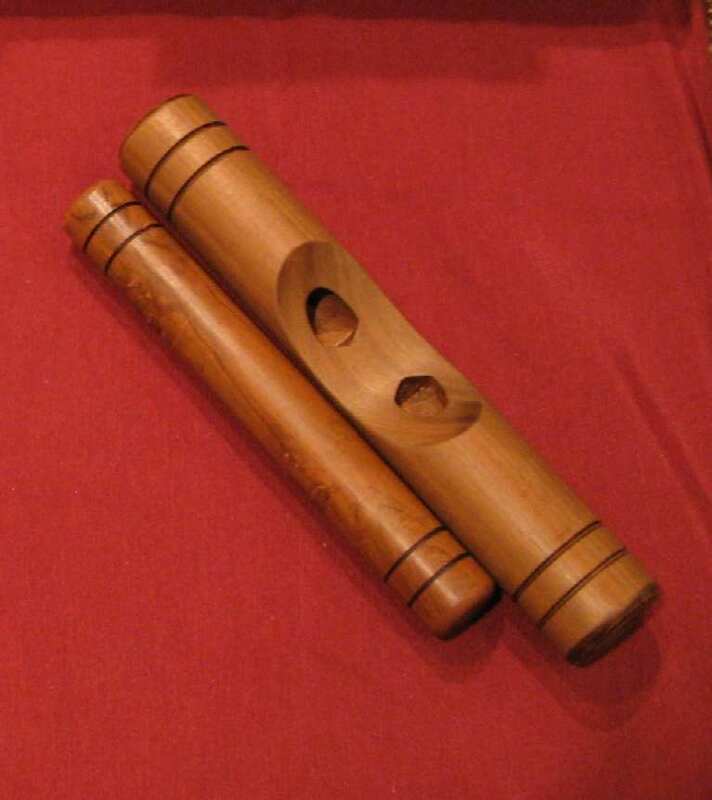 consisting of two cylindrical pieces of wood that are very hard percutir against each other also marking a rhythmic pattern called clave. Born in the port of Havana (Cuba), and is an instrument typical of the Central American music. consisting of two cylindrical pieces of hardwood, usually Lapacho, which percutir against each other also marking a rhythmic pattern called clave. For what it is clear that in Cuba a Clave, is musical instrument and a pattern of rhythm essential to talk about Afro West music. Just as when we hear rock music there is a feeling of the beat on a regular basis, to listen to music in Central America one thing that separates very well the first part of a second giving a base typically bamboleo called CLAVE. Well we can say that the Clave to the whole Afro Cuban music is the Clave: a piece of two bars which outlines the key emphases in any pattern Afrocubano pace. The pace of Clave track and you can easily be heard in music from Ghana, Nigeria and other regions of the west coast of Africa. They were the descendants of African slaves Cubans who developed the concept of Clave as it used today in Latin music. According Oneyda Alvarenga "consists of two sticks round as a Khmer long, hardwood and sound beatings that are used against each other, to keep the beat." (Brazilian popular music. 1947, p. 255). But Fernando Ortiz adds that instrument is "well premeditated and the result of a musical education tuned "..." has a resonant box that at first glance not warned. The secret of the ability of Clavero, or toilet Clave is to train with fingers and palms left a sounding board and maintaining very loose stick female (the largest ahuecado) so that, rather than subject, this rest freely on the support formed by the fingers, which his After closing the cavity resonator and produces a great sound, sharp and clean, stick to percutir the male (the thinnest) on wood. " (F. Ortiz, op. Cit. 1952, t. I pp. 218 to 222.) 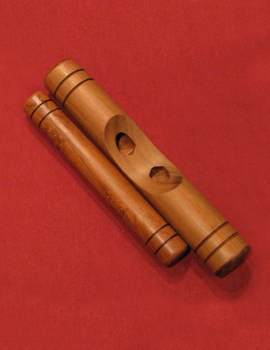 Although it is known that two entrechocar wood is typical of many cultures in ancient times, it has been said that the first Cuban keys were made of small Wood, who, like nails, used in the construction and repair of ships in ports. From its name derived forms as the "Clave ñáñiga" or types of groupings as the "chorus of Claves." 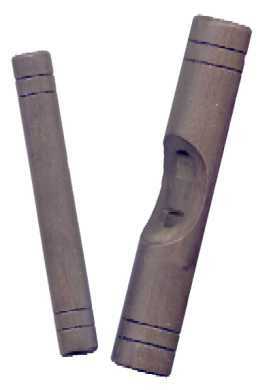 The Claves are used in virtually all Cuban music genres, and has been universalized. It is used in various Cuban musical groups. in our stock, Any query for details of the same or buy write us by the section CONTACT, Thank you.